Home » applications » bagmati » kathmandu » naxa » Nepal » news » Clean Ktm - An app that cleans Kathmandu! Clean Ktm - An app that cleans Kathmandu! NAXA released their new application, the Clean Ktm, on the celebration of 100 weeks of Bagmati Cleaning campaign and is backed by Kathmandu Metropolitan City Office for making a better environment. 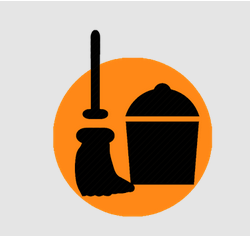 Now with this application, you can be a part of the cleaning process of the Kathmandu valley! The Clean Ktm application helps you report waste deposits inside Kathmandu Metropolitan City or people engaged in inappropriate behavior of haphazard waste disposal. Once a report has been made the municipality office (hopefully) views it and in turns sends pickup trucks to pick the respective waste. How to send a report? 6 Press 'SEND REPORT' and you are done!! Note- The Clean Ktm app also takes your device ID for security reasons and to prevent spamming and falsifying reports.